As reflected in the title of his book, Voss, the former lead international kidnapping negotiator for the FBI, did not develop his theories on negotiation in the halls of academia. An education that began as a beat cop on the mean streets of Kansas City continued as he joined the FBI and eventually traveled the world as the agency’s chief negotiator in the most dangerous situations. Already an experienced negotiator, Voss recognized the power of that question. It was the prototype of what he would eventually call the “calibrated question,” a highly impactful tool because it gives the other side a sense of control even if they are doing what you want them to do. If the drug dealer had said, “Put her on the phone!” the other dealer would either have refused — because he didn’t want be controlled — or demanded something in return. When responding to the question, “How do I know she’s alright,” the kidnapper feels in control because he is making the decision to put the hostage on the phone. Mirroring: Reflecting back what the other side says not only shows that you are listening but demonstrates that you understand where they are coming from. Labeling: Many negotiations are blocked by fears from the other side. 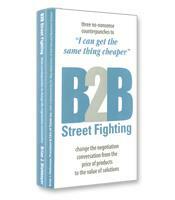 Negotiators should clearly state those fears; once the fears are “labeled,” the other side can start to let them go. 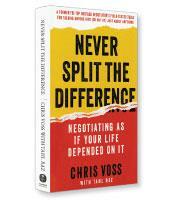 “That’s Right”: For Voss, negotiation means getting to “that’s right.” If you explain something and the other side says, “That’s right,” then they will feel that you are on their side for that particular issue. Their defenses will come down, and they will start to look for solutions with you. Tactics such as these are not separate tools in a toolbox but are used together to slowly break down the intransigence of even the most desperate terrorists and criminals. As a trainer and consultant, Voss shows how the lessons learned in his career can be used to negotiate anything. Readers of this valuable manual on negotiation will feel especially empowered: After all, if these tools and techniques work on battle-hardened jungle rebels, surely they will influence the local car salesman … or that boss who owes you a raise.